12% OFF—Platinum Variety Set— with 2 Lip Shimmers, Lip Balm SPF 15, Nail File, Mirror, Sanitizer, Lotion, Mint Tin, Magnetic Picture Frame. Gifts for Women, by Worthy. Platinum Variety Set. 9 items in total. Includes magnetic picture frame, 2 lip shimmers (shades are Blush and Berry), 7 inch nail file, decorative mint tin with about 265 miniature sugar-free peppermint candies, 3 inch mini mirror, SPF 15 lip balm, hand sanitizer and hand lotion with clip. 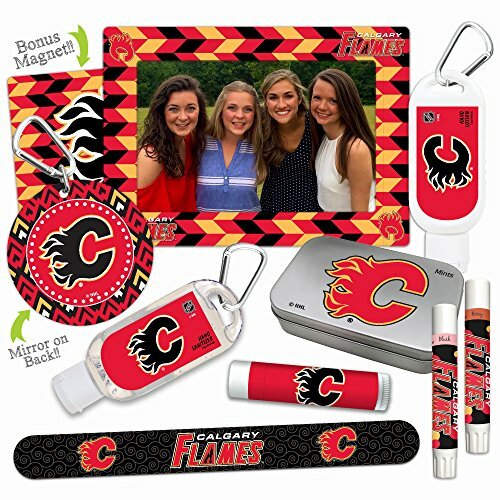 NHL gifts for women for Valentine's Day, Easter, Mother's Day, or Christmas stocking stuffers.